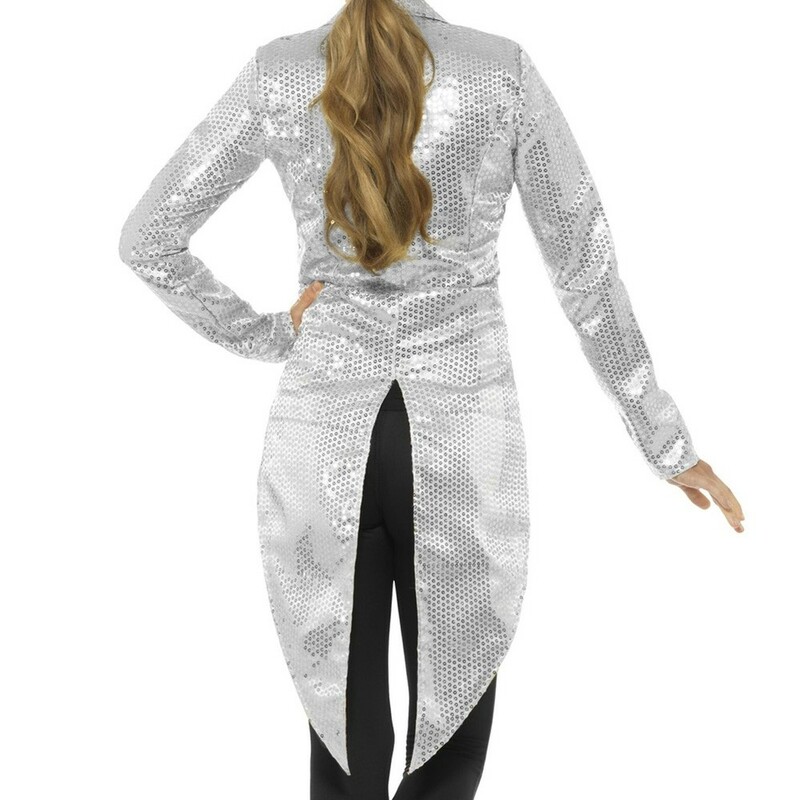 Silver Sequin Womens Tailcoat – Perfect for Greatest Showman Fancy Dress. Silver Womens Tailcoat - This great sequin Womens Tailcoat is single breasted with 2 buttons. This Womens Tailcoat is the perfect jacket for a Greatest Showman costume. Available in Small (UK 8-10), Medium (UK 12-14) and Large (UK 16-18). A Womens Silver Sequin Tailcoat.